Don't Let Your Addiction to Alcohol & Drugs End Your Career. Addiction and substance abuse has no boundaries. From healthcare professionals to high-level executives, addiction can take hold of anyone. For professionals, getting treatment isn’t as easy as just picking up the phone. You have unique needs that must be addressed. 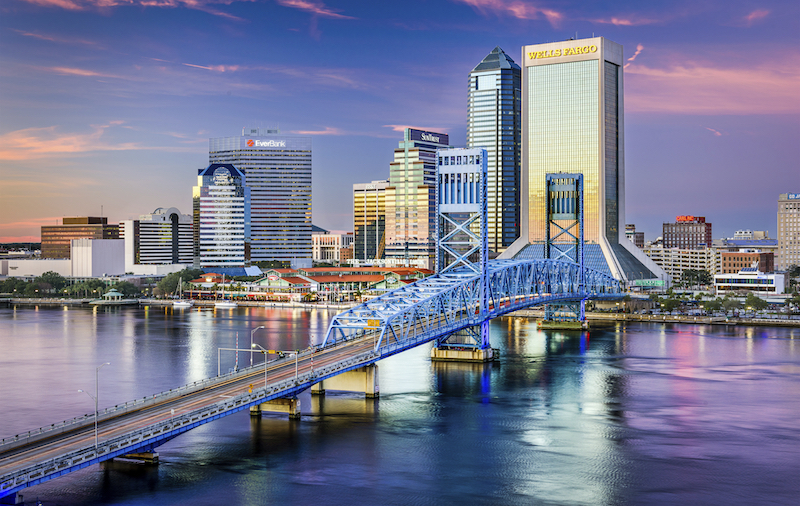 Awakening Recovery Center of Jacksonville, Florida, provides a discreet and comprehensive program for executives, healthcare professionals, business owners and upper-level management who are seeking help for a drug, alcohol or pain medication dependency problem. Awakening Recovery Center recognizes that key employees are vital to an organization, and our addiction recovery program for healthcare providers and professionals addresses the need to maintain work while getting the help necessary to overcome addiction. Awakening Recovery Center’s program has earned a reputation for comprehensive addiction recovery treatment in Jacksonville, FL. Our board-certified addiction medicine physicians, therapists and counselors specialize in designing individualized programs for addiction treatment for physicians, pharmacists, nurses, dentists, pilots, attorneys, business executives and public figures. Care is provided in a private, comfortable and confidential outpatient setting located in the heart of Jacksonville, Florida. We work closely with employers, licensing boards and the court system to ensure those struggling with drug, alcohol and pain medication addiction get the help they need to achieve sobriety so that they may save and/or restore their reputations, careers, livelihood, family and futures. We believe in a holistic, evidence-based treatment program that realizes a long-term recovery from addiction. The Awakening Recovery Center treatment program is primarily conducted as an outpatient program, though all levels of care are available, and programs can be created for individual needs. It takes an enormous amount of courage to seek help for addiction, and admitting to a drug or alcohol problem may be even more difficult for healthcare and other professionals who are used to being in charge and in control. Our multidisciplinary team will conduct a comprehensive exam that covers a patient’s mental health and physical health to determine specific needs. Also, our programs work in concert with regulatory boards and professional monitoring agencies. Identification of physical health, mental health or substance abuse problems. Program plan for addiction treatment of co-occurring mental health conditions and management of chronic medical conditions. Assessments for fitness to practice or fitness for work performance. A written or oral review for employers, licensing or other professional boards if required. Detoxification: This is the first step in recovery. This is when the body rids itself of harmful, toxic and addictive substances. Day Treatment/Partial Hospitalization: Day Treatment/Partial Hospitalization allows patients to live at home while participating in an intensive program of individual therapy, group therapy and other therapeutic activities. Care is offered five days a week, for a total of 20 to 25 hours. Intensive Outpatient Program: This is a step down from Day Treatment or Partial Hospitalization. For less severe addictions, this can be an entry point for treatment. These patients participate in individual therapy, group therapy and other activities approximately three days a week, for a total of 10 to 15 hours. Aftercare/Continuing Care: Recovery is a long-term endeavor and a lifelong quest. Awakening Recover Center provides the resources to help patients maintain sobriety with ongoing support. Awakening Recovery Center treats a wide range of professionals who need help with addiction recovery. The Professionals Program is designed to help addicted professionals with alcoholism, chemical abuse and other addictive disorders so that patients may return to their careers. The pressure and stress on those who work in the medical field is well known. Driven and ambitious, medical professionals work long hours and often neglect their overall health. A highly demanding, high-pressure job can cause some to feel overwhelmed. They may turn to alcohol or drugs to relieve stress, numb anxiety, deal with depression or insomnia or cope with other pain-related conditions. Easier access to prescription drugs also puts doctors, nurses and other medical professionals at increased exposure and risk. It’s been reported that drug and alcohol abuse occurs in 10 to 15% of physicians and healthcare providers. Doctors aren’t the only ones working long hours with enormous responsibilities. Attorneys, pilots and business executives are at increased risk of using alcohol and drugs to deal with anxiety and stress. The risk of disciplinary action and a loss of their license as a result of drug and alcohol abuse is significant for these professionals. However, when willing to accept help and get into treatment, they are often highly motivated to recover and live a life of sobriety.